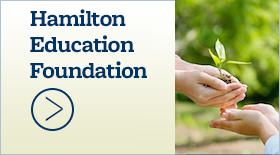 Board Meeting Highlights - Hamilton School District. 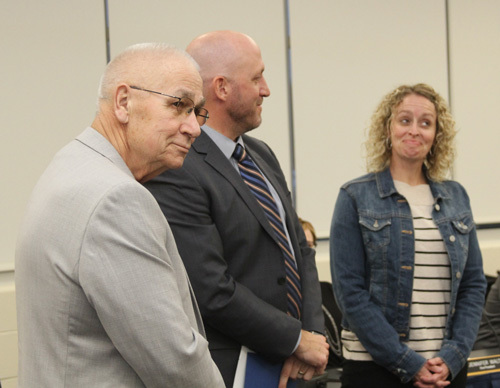 Hamilton School Board members took a look at the 2019-20 budget which is the first one that includes facilities and operational expenses that voters approved in the February 2018 referendum. The budget totals $61.1 million, a $3.6 million increase over the current budget with $1.5 million of the increase going toward operational costs of the new Silver Spring Intermediate School. The tax rate is expected to increase 18 cents from $8.92 to $9.10. Last year, voters approved a referendum authorizing a $1.37 increase in the tax rate that would be phased in over two years. The mil rate increased 37 cents last year, for a total two-year tax rate increase of 55 cents — 60 percent lower than what was projected during the referendum. The budget assumes conservatively that property value will increase 2.5 percent and resident enrollment will increase by 50 students. 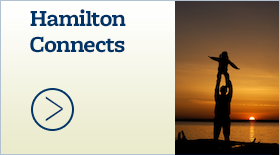 State aid to Hamilton is expected to increase 4.07 percent from $24.4 million to $25.4 million. If these assumptions are actually higher, the tax rate will be lower than $9.10. The budget also includes $600,000 for Lannon Elementary School hook-up to municipal water this summer. 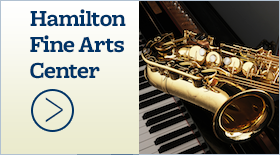 The Annual Meeting, when citizens are able to vote on the local levy, is set for July 15 in the Hamilton Fine Arts Center. From left, Rebecca Zingsheim, Gabe Kolesari and Jennifer Waltz being sworn in. 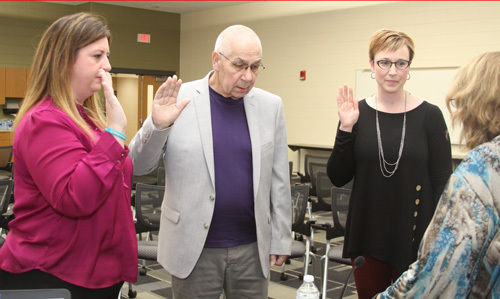 Three board members were sworn into office following their successful election April 2. Gabe Kolesari will serve in the Sussex seat, Jennifer Waltz in the at-large seat and Rebecca Zingsheim in the Butler seat. Kolesari and Waltz will serve a three-year term. Zingsheim, who was appointed to board when the Butler seat was vacant last year, was re-elected to serve the remaining two years of the term. With the completion of the new intermediate school this summer, the district will complete its 1:1 initiative for students in grades 5-8 at Silver Spring Intermediate, Templeton Middle and Hamilton High schools. 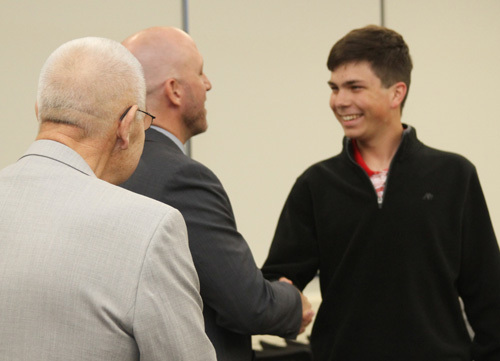 As part of that plan, the School Board approved the purchase of 1,200 Chromebooks, 300 HP desktops, 120 HP laptops and 2000 cases among other items. In addition, new networking switches and access points were purchased. Cost for the technology, which is in the bidding process, will come from the Information Technology Department budget and referendum funds. About $86,000 of expense will be refunded through a state technology grant and E-rate, a federal program that makes information services more affordable for schools. For the past three years, the district has been able to purchase more devices by going with the less costly Chromebooks that meet student needs in the classroom and support the mandatory testing. Student fees and lunch prices for 2019-20 will remain unchanged for most students in the district. Lunch prices are: $2.60 for elementary and $2.95 for intermediate, middle and high school students. Intermediate students’ meals will include a salad bar, and bistro box meals will be $2.60. The cost for a carton of milk for all students will remain at 35 cents. 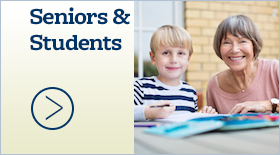 Student fees will remain the same except for a $15 technology fee increase for students in grades 5-8, from $25 to $40, to accommodate the 1:1 initiative. All other fees — including athletic, activity, club and parking — will remain the same. Board members approved a 2019-20 School Board meeting schedule that includes changes. Instead of beginning at 7:30 p.m., meetings will start at 6:30 p.m., and six meetings have been eliminated. The board will only meet once instead of twice in September, November, December, January, February and March. It will continue to have two meetings in October, April, May and June. It traditionally has had only one meeting each in July and August. Currently, meetings are designated as curriculum & instruction or regular meetings. In the future, they will all be regular meetings. 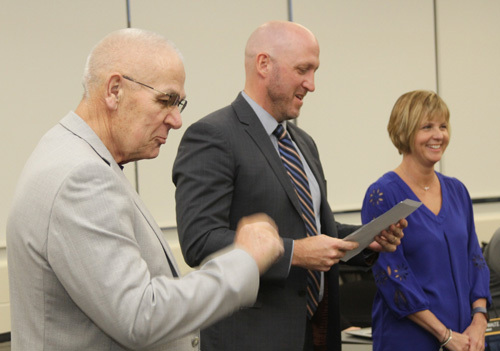 In personnel business, the School Board accepted the resignation of Hamilton clerical and student supervision paraprofessional Kathleen Krolczyk and appointed her to serve as Hamilton media center paraprofessional, effective Sept. 3.